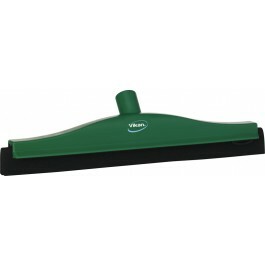 The Vikan 7752 is designed for the food industry's high risk areas, the squeegees are very solid and long lasting. Fully colour coded stock for enhanced colour coding designed to stop cross-contamination. 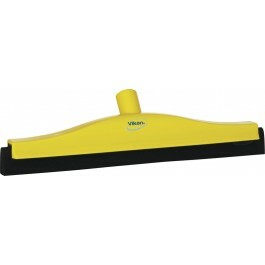 The rubber edges protect walls and equipment during cleaning. Can be used on all types of floors. When the rubber is worn out it can be easily replaced with a new cassette.